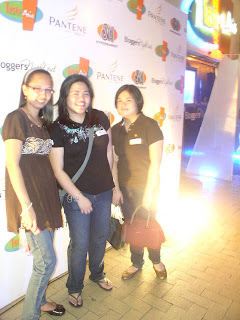 This video was taken during the Pantene Bloggers Night Out held at Taste Asia, Mall of Asia. And yes, I was there. Actually we were there. I was with Mitch (who travelled from Subic, Olongapo just to attend this party and meet me) and her friend Jeff, my husband Monch, my cousin Trixie, Gabs aka Youngmaze, my sister Kiss and her boyfriend Jepoy. 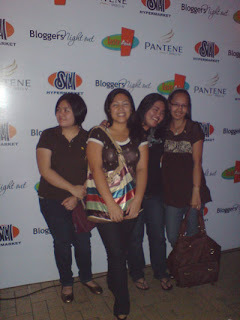 This was the first time I attend a blogger party and I really had fun. I also had a chance to see Judy Ann Santos in person. 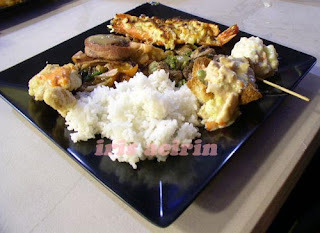 Anyway, here are some of the photos taken during the party. We had yummy foods and unlimited cocktail drinks. The boys (Jepoy, Monch, Jeff, Gabs)For more photos, please visit my multiply account. Too bad, our group photos taken by the Pantene photographer were ruined or something happened that they couldn’t develop them. Then, of all time, my camera became temperamental. Some shots were blurred. So I had to use my cellphone’s camera.Anyway, Judy Ann is so nice that she even say hi to us when she was in her way out of the venue. Honestly, I was starstruck that I didn’t know what to say. We didn’t even ask her if we can have pictures with her. We just stood there and smile.But after the meet and greet with Judy Ann, RJ Jimenez and his band performed some songs. Then another band played some 80’s songs, I think I heard their name is Mistakes (I’m not sure because we are already outside enjoying the beers and cocktails. )We really enjoy the party. We will definitely attend the next blogger party. 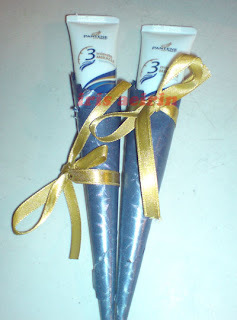 Thanks to Pantene! Mitch, Jeff and Gabs, it was a pleasure meeting you guys. Till our next night out. Also to Sheng, it was nice meeting you. Thanks for letting Jepoy take one of your reserved slot. I hope Mommy Cielo will join us next time. tnx for sharing your coverage!! nice post! 🙂 baptism of fire mo pala for attending a blogger event… ang saya noh ? not only do you get to mingle with people of the blogosphere, but you get to know them personally too and put faces behind their blogs. And of course our gracious host, Pantene and Taste Asia couldn’t have done better in presenting and providing. Wahahaha nakapost na pala. Just logged in, natulog muna ako hehe! The guy from Kodak said na-corrupt daw ang memory card nila kaya nawala lahat ng pics sayang. I was there too btw. Hi. 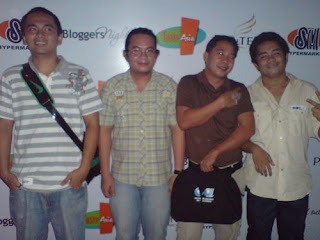 The bloggers night was fun and enjoyable. Hope to meet you next time.